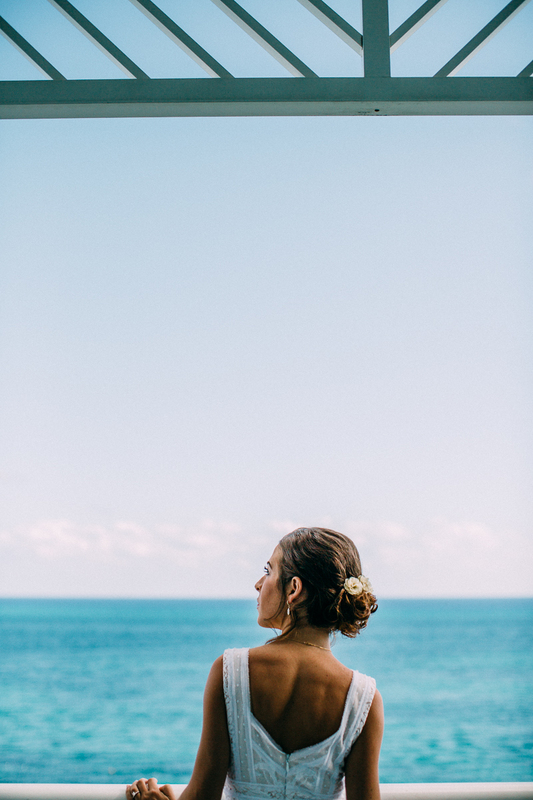 A Bahamas beach wedding is naturally beautiful … picture the stunning clear blue ocean found on our 700 Islands and Cays ,,, these crystal clear blue waters sparks inspiration for your destination wedding color palette; it also serves as a pretty backdrop for your magical day. Wiggle your toes in white powdery sands … ahhh! Natalia and Robby were on the hunt for exactly such a setting when they visited Grand Bahama Island and I squired them around to check out Bahamas wedding venues. They chose the pretty and rustic Bahamas wedding venue, Banana Bay Restaurant after visiting Nassau, too. 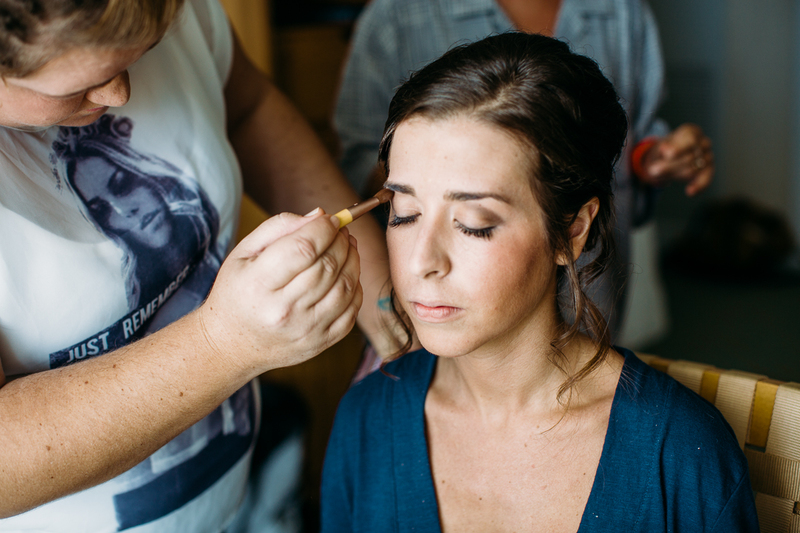 Natalia’s beauty treatment is underway as her in-room make-up artist gets her ready for her big day. 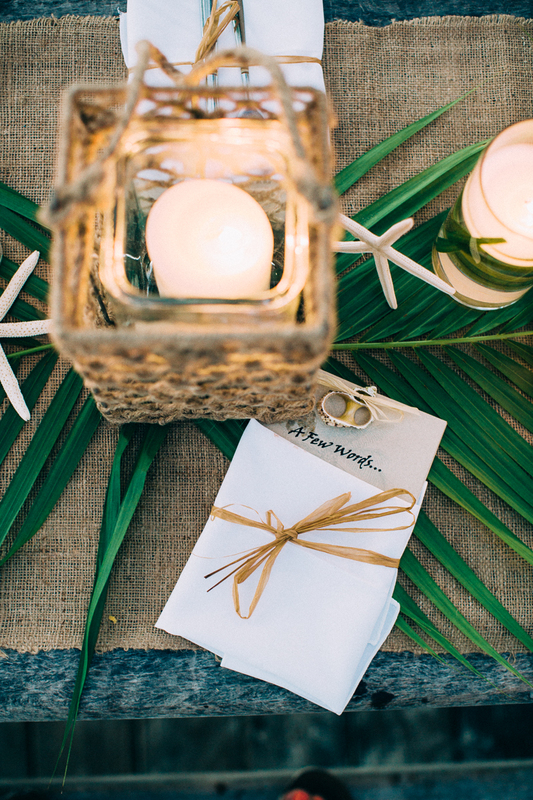 An island elegant style was Natalia’s vision for her special day. Artistic, she had ideas for her place cards, thank you notes and table numbers. 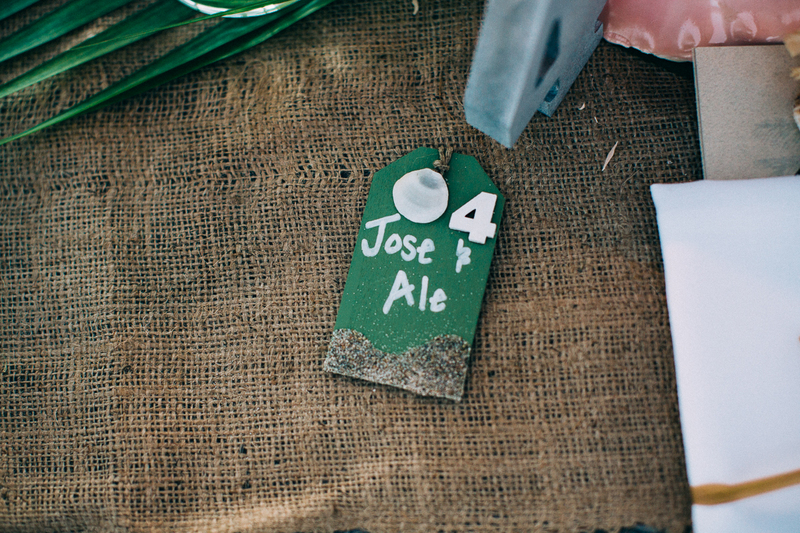 So, worked her magic and created these special touches for her guests. Naturals and greens were her color palette. Natalia’s DIY efforts were quite lovely. 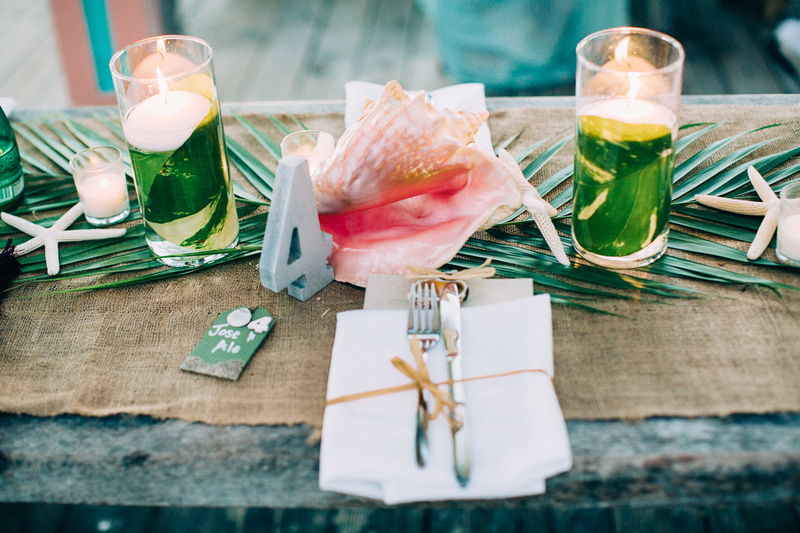 We share some of the elements of this Bahamas beach wedding on the blog today. 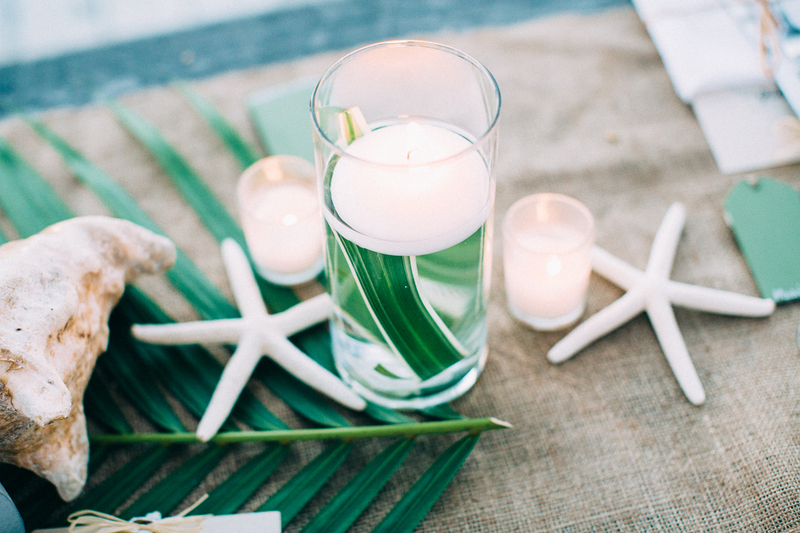 Burlap with Areca palm leaves, conch shells, starfish, lanterns and cylinders with floating candles graced wooden dinner tables overlooking the Banana Bay Beach. 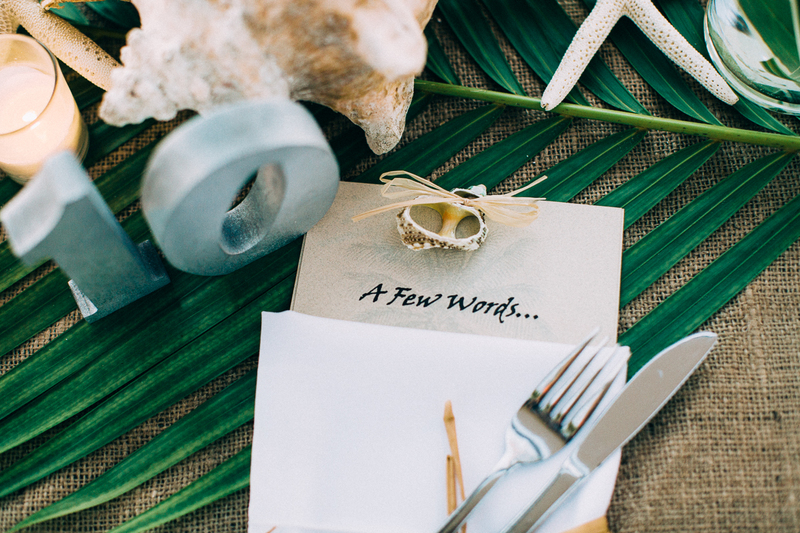 Bahamas Beach Wedding Review: Where Do I Begin? We’re so thrilled that Natalia, Robby and their 70 guests came to our shores to tie the knot and thoroughly enjoyed their beach wedding experience. Your Bahamas wedding planner, Chic Bahamas Weddings, would delight in helping you plan your Bahamas beach wedding! Contact us today to start planning!